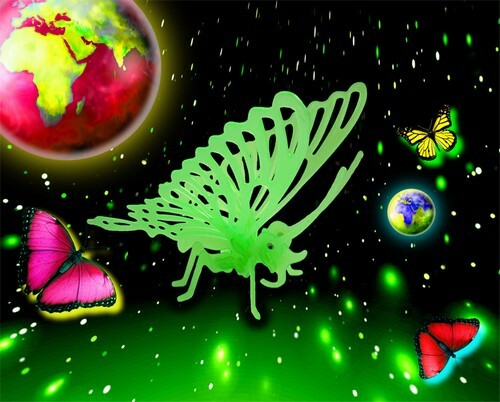 The Butterfly, is a 3D Jigsaw Glow in The Dark Construction Kit, contains 16 pieces. Parts are pre-cut. Just match Letters, and the parts interlock. No glue necessary. Come in a box w/instructions. it’s a challenging, educational and creative activity for all ages. Can be great for display when assembled.